Stephen has over 30 years experience and is an Accredited Professional Photographer with the Australian Institute of Professional Photography and a Certified Professional Photographer with the Professional Photographers Association of Queensland. He has attained the level of “Grand Master of Photography” with the Australian Institute of Professional Photography. Arana Photography is located on the northside of Brisbane and we undertake Wedding, Portrait and Corporate photography sessions anywhere in South East Queensland. Most weeks we are available to shoot weddings in Brisbane or on the Gold Coast or Sunshine Coast regions. Over the last 5 yrs or so we have photographed many weddings on the barrier reef at Hayman Island, Airlie Beach, Able Point and Hamilton Island. 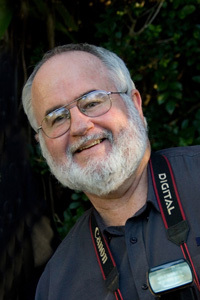 Stephen is a Judge in the Queensland Professional Photography Awards and has been a judge at the Australian Professional Photography Awards since 1996. He judges the photography of the graduating students at Metro South Institute of TAFE and has been a judge at the Pine Rivers Show of the Photography entries for many years. He has been a photography guest speaker at the Australian Commercial Arts Academy, James Cook University, Design College Australia, Metro South Institute of TAFE, South Brisbane Institute of TAFE, Southern Queensland Institute of TAFE and many more. Over the years Stephen has conducted many photography workshops on Studio Lighting and Posing, Basic Digital SLR Photography, Night Portraiture & Night Landscapes and Striving for Gold Awards Photography.